We inform you that the information you provide will be processed using electronic means in compliance with the principles established by the current legislation on data protection (EU Regulation No. 679 of 2016) for the sole purpose of providing you with the requested information. 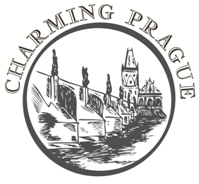 The complete information on the methods and purposes of the treatments carried out can be accessed through the following POLICY link: https://www.charmingprague.com/policies/. – the holder of the personal data collected from this web site, as the owner of the website, is shown at the bottom of the website itself. – holder self treatment and owner of online reservation system is now is the company Nozio Srl with headquarters in Via delle Industrie, 17 / A – 30175 Venice Marghera, and its partner and Web Site administrator, the company Netplan S.r.l. – in charge of the processing of personal data as a System Administrator of the Web site is the company Nozio Srl with headquarters in Via delle Industrie, 17 / A – 30175 Venice Marghera, and its partner and Web Site administrator, the company Netplan S.r.l. The copyright in all materials on all pages of this website is owned by both the author (San Moisè S.r.l. and partners) and the website owner.